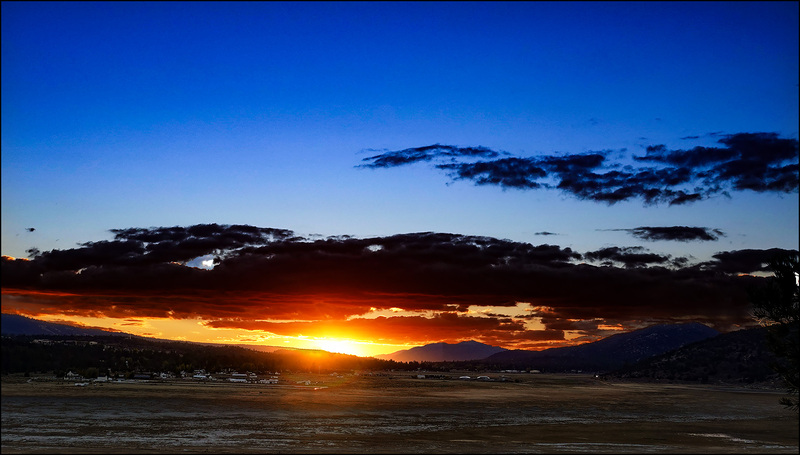 Today’s picture shows the sun setting over Big Bear Lake. (Note that the foreground is not a dry lake bed. The lake itself is off in the distance.) This photo is part of a quasi-diptych, and I will put up the second part tomorrow.